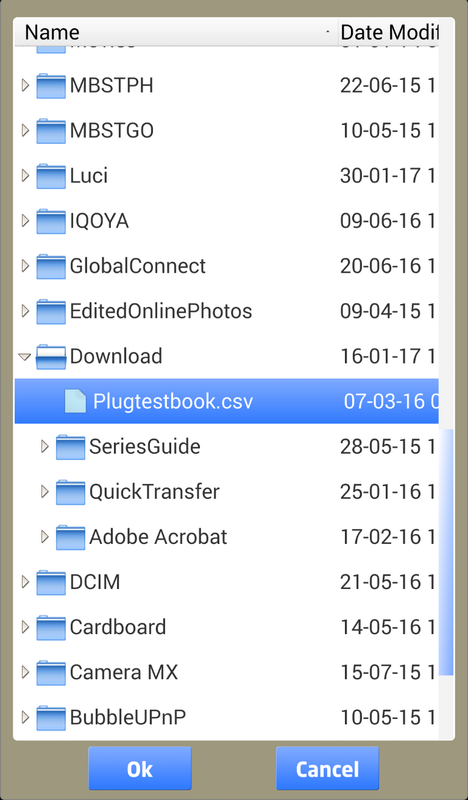 With this function a CSV-formatted phonebook can be loaded from file into your LUCI LIVE app. Select the file from the right location on your device and press ok. The phonebook will be visible in the Stations list.